Snook fishing continues to go off pretty good inshore right now. The snook got the memo that it was almost summer spawning time and they are feeding pretty darn good right now. Boat docks and seawalls are good areas to fish during the day, while bridges close to the inlets continue to produce at night. Flair hawks and bigger swimbaits remain the lures of choice for the snook. Been some big jacks along the same seawalls that the snook are hanging around. Nothing quite like a monster jack destroying a noisy topwater walked along a seawall early in the morning. Mangrove snapper action continues to slowly improve inshore. Sandperch bite has been very good on small pieces of fresh cut shrimp right now. 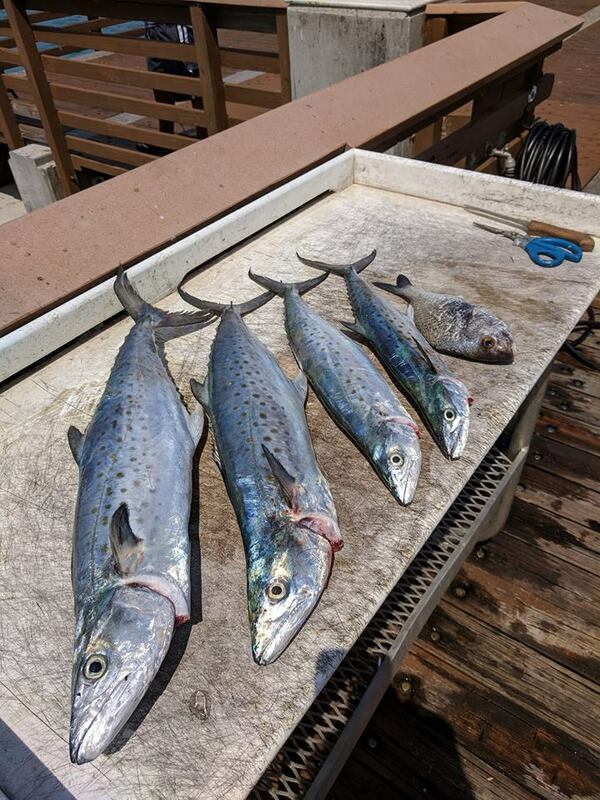 SURF/PIER: Still a few pompano around and being caught. NO doubt we are nearing the end of the pompano season, but it's still worth putting them out at this point. Sandfleas and clams are still the top bait choice for the pomps. For all around action, including the pompano, try fishing some cut shrimp for very mixed bag action. The Juno Beach Pier has been pretty hot lately. Some Macs and kingfish coming over the rail early in the morning and late in the afternoon on Rapala X-Raps. The big jacks have been cruising around. Snook action also continues to improve at the pier.